It looks as though the royals may have some more exciting wedding news in the near future. Last weekend Meghan was working at a television festival with the rest of the Suits cast. While there, Meghan was asked about her plans for a future with Prince Harry. One member of the audience asked whether or not she hoped to marry Prince Harry, but reportedly, she simply smiled warmly and looked away in response. 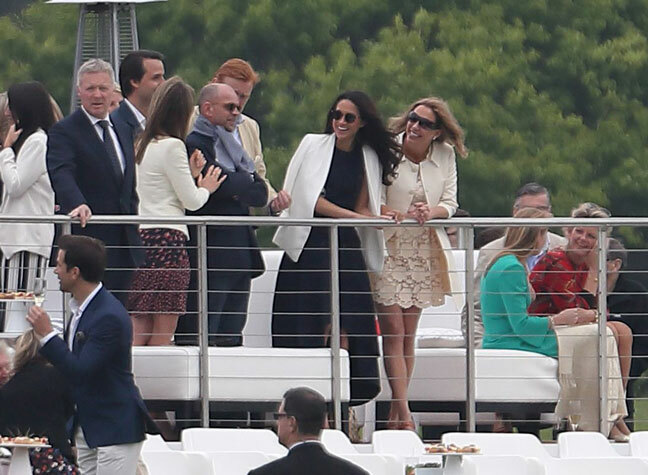 Meghan made her first public appearance as Harry’s girlfriend at the polo recently. While Harry gallivanted around at the Audi Polo Challenge in Coworth Park, Berkshire, Megan had front row seats in the Royal Box to watch Harry compete. Now it seems their relationship could be about to get much more serious with a proposal from Prince Harry described as “imminent”. Harry and Meghan met in Canada last year whilst the prince was promoting the Invictus Games. Speculation of their relationship was finally confirmed last summer and since then rumours of proposals have been constant. READ MORE: Harry and Meghan are set to take the next big step in their relationship! Meghan’s decision to shut down her lifestyle website ‘The Tig’ was regarded as a huge indication that Harry might be proposing soon. Her request to be written out of the popular television series Suits has also led to speculation the pair are ready to commit. Meghan is rumoured to be planning a permanent move to London soon.